Francisco is the manager of Expocamo, one the country's leading specialty coffee exporters and our good friend. In 2016, we connected twelve smallholder farmers from Jinotega and Nueva Segovia to European roasters through our one-on-one matching program. In 2017, we were filled with pride to see Francisco’s partners taking first, fifth and seventh place in the 2017 Cup of Excellence competition, putting Francisco firmly on the map as one of the country’s leading specialty coffee companies. Both the roasters and us are impressed by the painstaking production adjustments by the farmers, our friend Francisco's careful agronomic assistance and his company Expocamo's very rare raised bed drying design (73% shade and constant air flow). Although the company is only four years old, he has an international reputation of ensuring cleanness, very long shelf life, and coffee profile consistency. However, in 2018, things took a turn for the worse in Nicaragua with riots and protests in the country coinciding with the post-harvest. 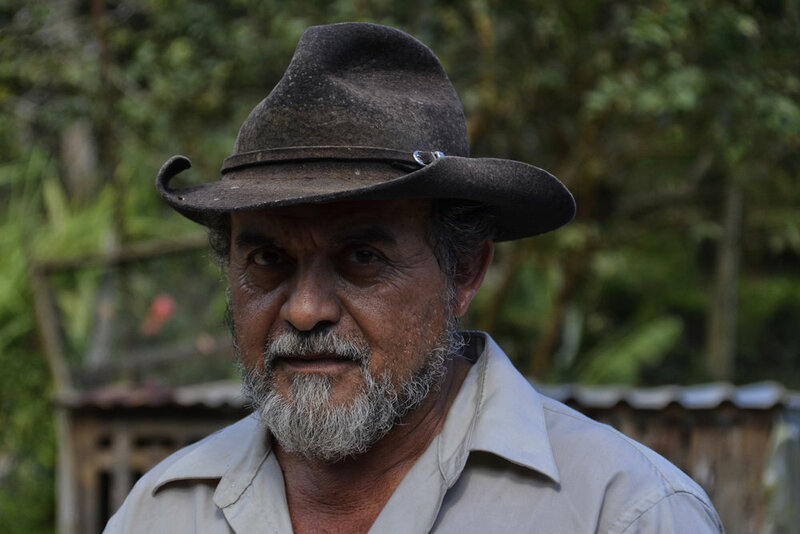 While the northern countryside where our partner coffee farmers live was not the center of government clashes with the local population, Francisco’s hometown of Jinotega was in complete shambles: road blocks and frequent violence changed the face of daily life completely. Although the situation has calmed down for the moment, Daniel Ortega still holds power while the largest part of the country is aligned against him. It remains to be seen, therefore, how the lives of our dear friends will be impacted in the coming months. From our position as trade partners, we have seen up close more than ever how political coffee trade can be. We are happy to have been able to import our partners’ coffee throughout these troubled times anyway, to at least give Francisco and the farmers some economic relief. Moreover, as fellow humans who love this country’s people and coffee, we also feel responsible for spreading awareness about Nicaragua’s terrible fate. Here are some links that explain the cause of the political crisis and its aftermath. Also, never hesitate to get in touch directly with Francisco (contact details below) to get a full picture of how the crisis impacted his life. These are the farmers we supported in the 2018 harvest. Click on the images to see a full farmer profile on Expocamo's website. Our Nicaraguan chain looks slightly different because the drying of the coffee is done centrally. Expocamo picks up the wet parchment from the farms and takes utmost care to attain uniform and shaded drying. This ensures a much longer shelf life and in the long run, better prices to the farmers. A mix of Caturra, Paca, Red Catuaí, Java and Catimor, as well as special Maragogype and Maracaturra lots, depending on the farm. Coffees from all our partner farmers have been upgraded, dried, milled and graded by Expocamo. 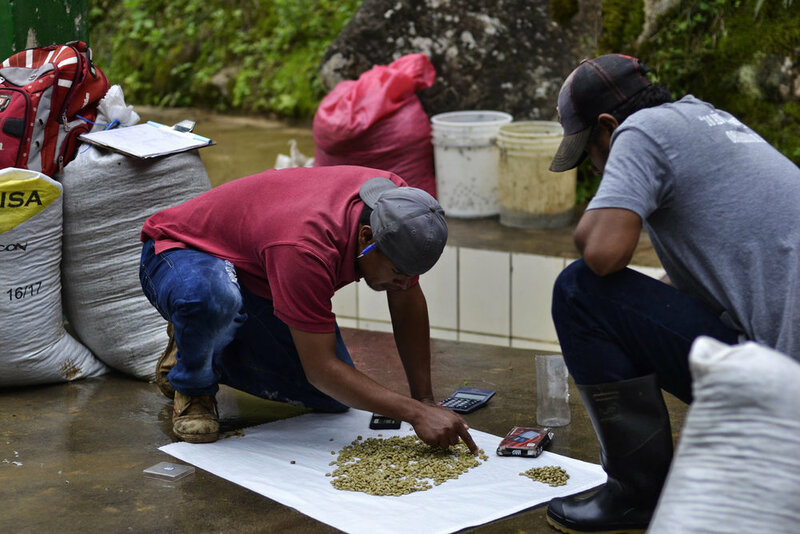 Our microlots are linked with roasters who have the opportunity to guide the farmers' quality upgrades in subsequent seasons. This Side Up's quality premium spent in full on extra farmer income. 2016: launched our roaster-farmer connection programme and created links with roasters in seven countries in Europe. 2017: more than doubled our roaster base, created tailor-made pre-harvest lots for connected roasters, first natural, triple A and single variety lots, 1st, 5th and 7th place in the Cup of Excellence, partnered with many new producers. 2018: extended partner farmer base to six more farmers, created single variety java lots, created two customised mid-range blends based on last year's Flor Silvestre regional blend. The percentage of the sales price that Expocamo pays the farmers for their wet parchment. In most cases, this means they receive more than 100% over the market price (!). Total costs of drying and dry processing the coffee owed to Expocamo. 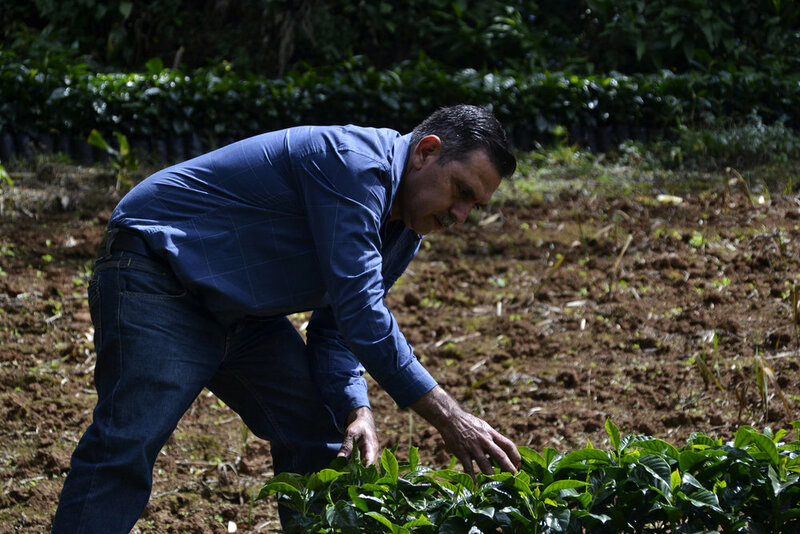 Founder Francisco is known in the region for his coffee quality expertise and ensures that wet parchment from his partner farmers is dried to perfection on his raised beds, and processed / sorted / graded in state of the art equipment before exporting. The approximate total shipping costs and fees from Ocotal, Nicaragua to Amsterdam, the Netherlands. This year we made a 2% scale advantage compared to last year. This Side Up compensation for spending time and resources importing this coffee. Our work includes building relationships with shipping and warehousing partners, managing export, import and shipping bureaucracy, Q grading, sampling and jointly promoting this coffee with Expocamo. We found that for this harvest, the fruits of the SHG and AA lots, as well as the subtle florals of the Java can be best discovered with our TSU Washed 2 profile, a tweaked version of one of Tim Wendelboe's profiles. Just enough of the chocolate undertones develop while the red fruits and florals show the best versions of themselves. Cut the roast short if it passes 25% DTR. "orange, sweet, almond, syrupy, tropical fruit, pineapple, sparkling apple juice." "We can taste distinct honey-like sweetness, rich dark chocolaty body and ripe cherry acidity. Full and sweet." Francisco Javier Valle Garcia is the CEO at Expocamo and the exporter and quality educator of all our partner farmers' coffees. If you want to get in touch with these farmers, the best way is to get in touch with him or with Bram de Hoog, Expocamo's marketing director and a good friend of This Side Up. Both will gladly assist you for calls in Spanish, cooperation possibilities and of course - visits! 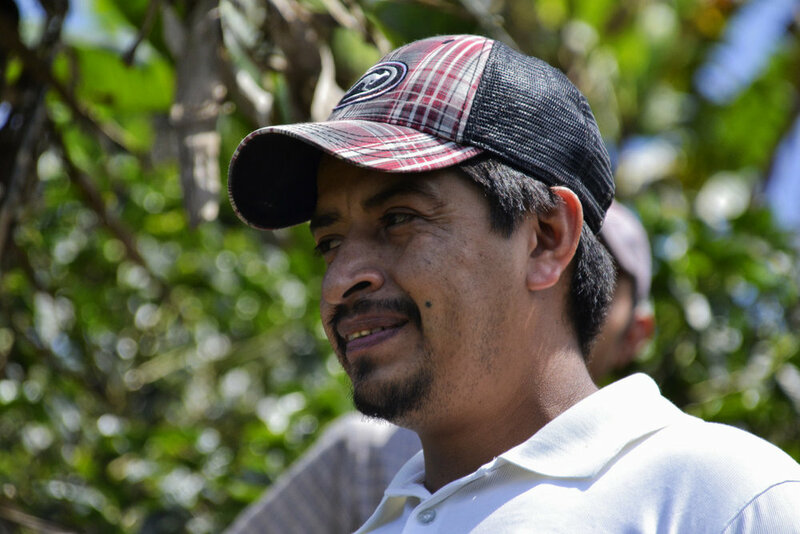 One day, a partner roaster named Roger Wittwer introduced us to his direct trade partner Francisco. He needed help importing Nicaraguan specialty coffees to Europe, and Roger thought we could be a match. We began talking regularly and I learned about Francisco’s crazy level of experience. Starting off on his coffee journey as a boy on his father’s farm, Francisco’s talent and drive found him cupping for the national Cup of Excellence competition already at age 18. He then moved to the States to become a roaster at Stumptown, worked on the side of export for a while and finally started Expocamo, a company aimed at developing and exporting only the coffees of farmers that he calls his friends. Roger was right, this was a match. We later learned that Francisco is a man who farmers love to work with - his loyalty and tireless work to expand farmers' knowledge of coffee quality is famous in the region. Through our partnership, he is learning from European roasters and seeing how his coffees are perceived this side of the Atlantic. Francesco with Julian Corea, one of our partner farmers. Raised drying beds at Expocamo's beneficio: La Guadalupana. Francisco and Otoñiel Cantero examining a coffee shrub at finca Mi Dulce Luna.